Acorn Publishing is a dynamic, well established publishing company based in the Cayman Islands which produces the Islands best guides for Cayman residents, individuals looking to move to Cayman, foodies and visitors. These guides are: Cayman Resident, Cayman Good Taste, Explore Cayman and Cayman Parent and are available in printed and digital formats. Acorn has a reputation for providing accurate and concise information and its team of local researchers leave no stone unturned to bring its readers invaluable information and insider tips. Acorn Publishing's strap line, "The really useful guide company" defines the overall vision of the company. Its mission is to deliver relevant, up-to-date, useful information across print and digital media to enable its readers to get the most out of the Cayman Islands. Founded in 1998, Acorn Publishing was created by Joanna Boxall with lots of support from friends and family. The first publication was the 1999 edition of the 'Menu Guide' which promoted some of the best restaurants in Cayman. This was followed by the 'New Resident' magazine which was first published in 2003 and a year later the Cayman New Resident website was launched. Both the magazine and website were aimed at giving new residents to Cayman more information about moving, living and working in the Cayman Islands. In 2005 Charles Grover joined the team. The first project was to relaunch the old Menu Guide. 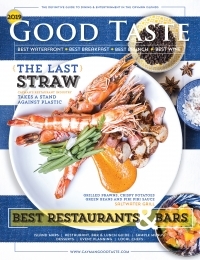 The result was a completely re-imagined magazine called Good Taste which was published at the end of 2005, followed soon afterwards with the launch of the Cayman Good Taste website. When compared to the Menu Guide, the production quality, style and photography were significantly improved and both the magazine and website have continued to evolve to meet the changing requirements of our readers. In November 2010 the Explore Cayman guide was launched to provide visitors with a handy, concise guide for things to do in Cayman. Sixteen months later, at a unique launch event in March 2012, the Governor of the Cayman Islands made the Explore Cayman website live and then in December 2012 the Explore Cayman iPad app was launched. This was followed in July 2014 with the launch of the Explore Cayman iPhone app which together with the printed magazine and website have also continued to evolve. Meanwhile the 2012 edition of the 'New Resident' was re-branded as 'The Resident'. The decision to re-brand was taken as it was becoming more and more obvious that the magazine was not just being used by new residents, but as an invaluable resource for existing residents living and working in the Cayman Islands. This re-branding was hugely successful and 'The Resident' is now fondly referred to as "the encyclopaedia of the Cayman Islands". In March 2016 we finally got around to launching our own company website acorn.ky and then in the following month Apple approved the universal Explore Cayman app. This major new app release incorporated offline maps into the already popular app and significantly improved the navigation and search functions. Later in the year, June 2016, we quietly acquired the Cayman Parent product from Seagrape Media. Heather Cassidy, the previous owner, produced five excellent editions of the magazine, but needed someone to take her "baby" to the next level and decided that there was no better choice than Acorn Publishing! 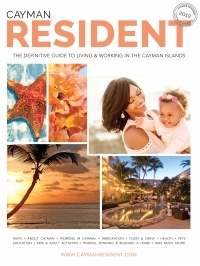 Then in November 2016 we published the re-branded 'Cayman Resident' magazine (previously known as 'The Resident') in anticipation of a similarly named and relaunched website. After much blood, sweat and tears caymanresident.com finally went live at the beginning of 2017 and represents a huge improvement from the old site particularly in the areas of mobile, navigation and search, and provides a wonderful platform for us to showcase the depth of our research material and content. Now the name 'Cayman Resident' is consistent across the print, digital and social media assets, obviously enhancing the product's brand equity and provides a great opportunity for cross platform growth into the future. The big project for the Acorn team in 2017 was the re-imagining and relaunch of the Cayman Parent product. 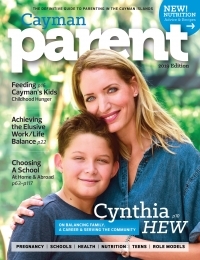 Cayman Parent hit the streets in September 2017 after a hugely successful launch party and the feedback we have had from clients and readers has been extremely positive. The overwhelming consensus is that there is a real need for a product targeting families and parenting in Cayman. We are excited about the future of this product and the opportunity we have to help guide Cayman parents to realise the full potential of their children. 2018 is shaping up to be a monster year for Acorn with new digital product launches and improvements to existing digital products. In April, we launched the third major release of the Explore Cayman app which includes new maps, a new 'Near Me' function, completely updated information for 2018, improvements to the navigation and the search functions, and an improved installation process. The app is the #1 app in the Apple Store (when searching on 'Cayman' and 'Cayman Islands') and has been getting rave reviews. We anticipate that we will keep this position for many years to come. As we get further into 2018 we will announce details of the other initiatives we are working on, so watch this space!